This solution was custom-made for a multinational laminate manufacturer who produces sheets of laminated material 2400mm x 1200mm and up to 40mm thick that required turning over for QA inspection prior to packaging and shipment. Andrews Automation provided a compact solution incorporating a fully automatic turnover unit and powered roller conveyor. The turnover was integrated into the roller conveyor production line where sheets are inspected by a line operator as they enter the turnover. The operator has a control option to pass straight through, if opposite face inspection is not required or to turnover and return. The compact turnover unit has PLC based control with variable speed drive control for smooth and accurate positioning. This allows the operator to take full control over system depending on the flow of laminate materials. 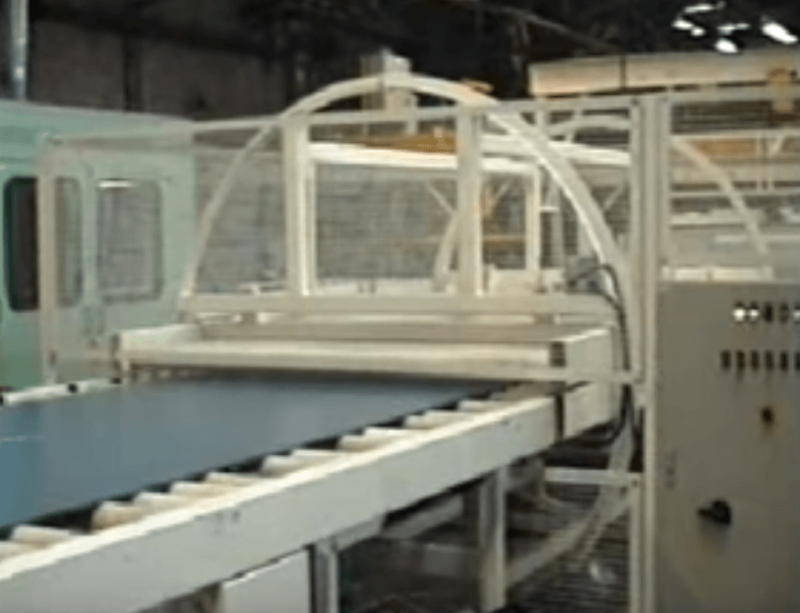 The video below demonstrated the powered roller conveyor carrying the laminate material into the turnover unit which is controlled by the operator. The laminate material is then turned over and fed back out so the other side of the material can be inspected by the operator. Call Darren Needham today on 01405 768 900 to discuss your exact requirements. We can design bespoke solutions to your exact specification.